It’s no secret that Japanese giant Sony has garnered the attention of the masses with its mirrorless offerings. In one fell swoop, the brand has positioned itself as a force to be reckoned with in the camera industry. Therefore, it comes as no surprise that Nikon is trying to win back the market share by adding its own spices to Sony’s recipe. 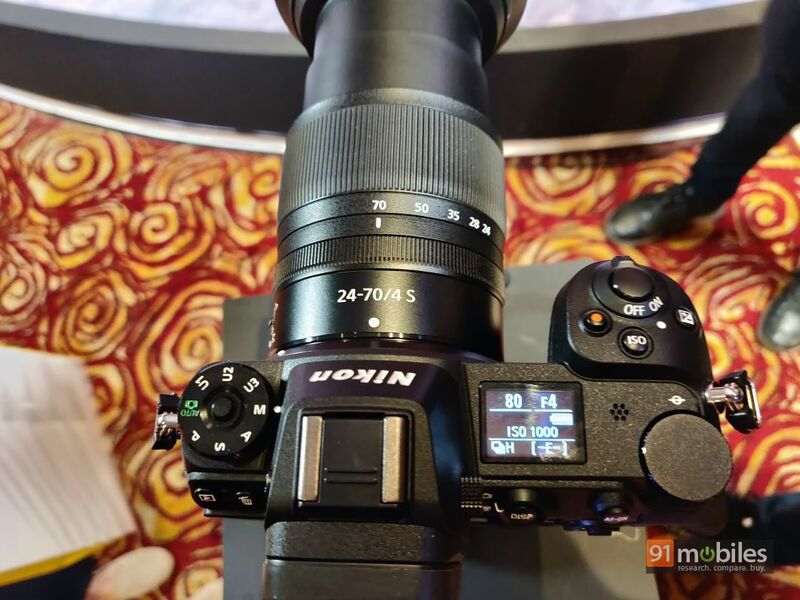 At an event held in Delhi recently, the company unveiled its first ever full-frame mirrorless camera range which comprises the consumer-friendly Z6 and the prosumer-grade Z7. I managed to get up close with Nikon’s latest offerings and here are my first impressions of the same. Aside from a few key differences, Nikon’s latest offerings draw parallels in terms of design as well as connectivity. Therefore, let’s address the differences first. 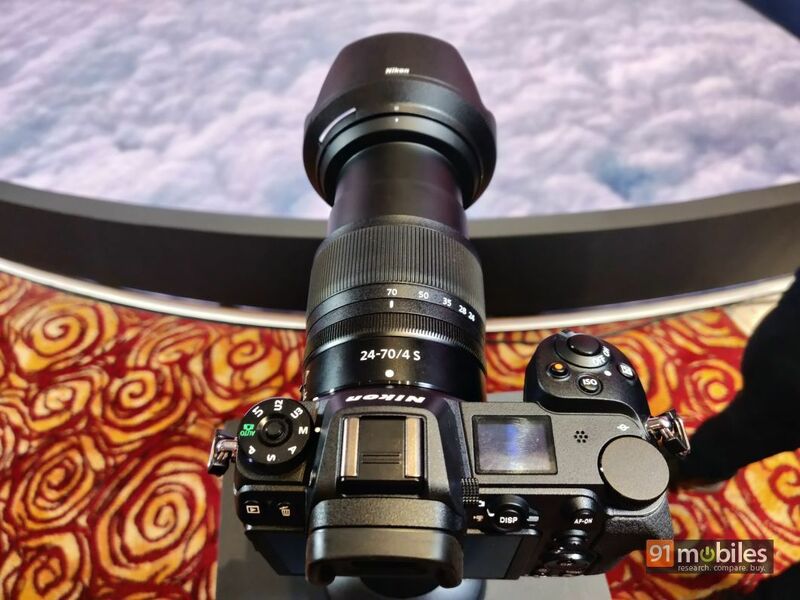 The Nikon Z7 is a prosumer product geared towards professionals and therefore, it ships with a mammoth 45.7MP sensor. 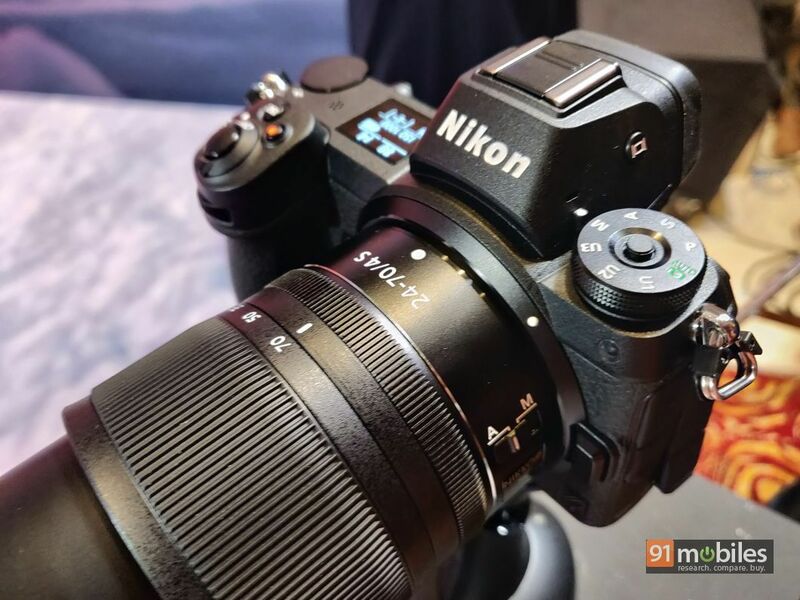 On the other hand, the Nikon Z6 sports a smaller 24.5MP sensor. That means, the Z7 will be better suited for shooting images like landscapes, where details play a crucial role. I’d also like to point out that the Nikon Z7 has a lower ISO range, and the unit caps out at 256K ISO. 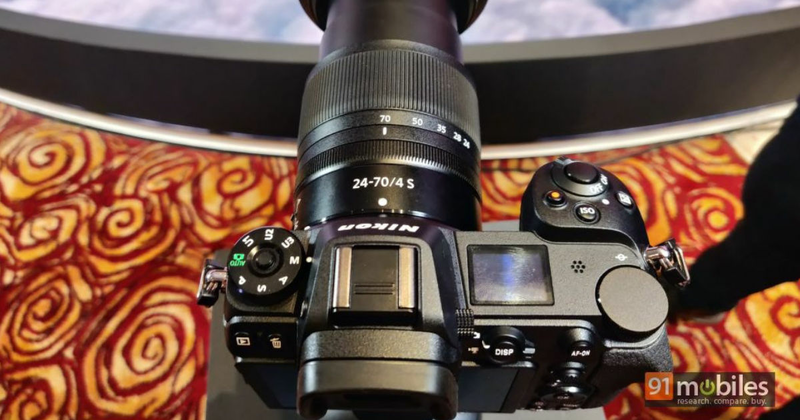 On the flip side, the Z6’s ISO range extends all the way up to 512K, the reason being that the pixels will be more densely packed on the Z7 and therefore, consumers might not get ideal results at extremely high ISO levels on the camera. Moreover, owing to the lower pixel count on the Nikon Z6’s sensor, the camera can shoot images in burst mode at 12fps. In contrast, the Z7 captures images at 9fps only. Lastly, while the Nikon Z7’s sensor comes with 493 AF points, its sibling supports 273 AF points. In terms of the design, both cameras come sporting similar weatherproof builds. Unfortunately, Nikon didn’t comment on just how rugged its latest offerings were, so we’ll update you as and when we get more information on the same. 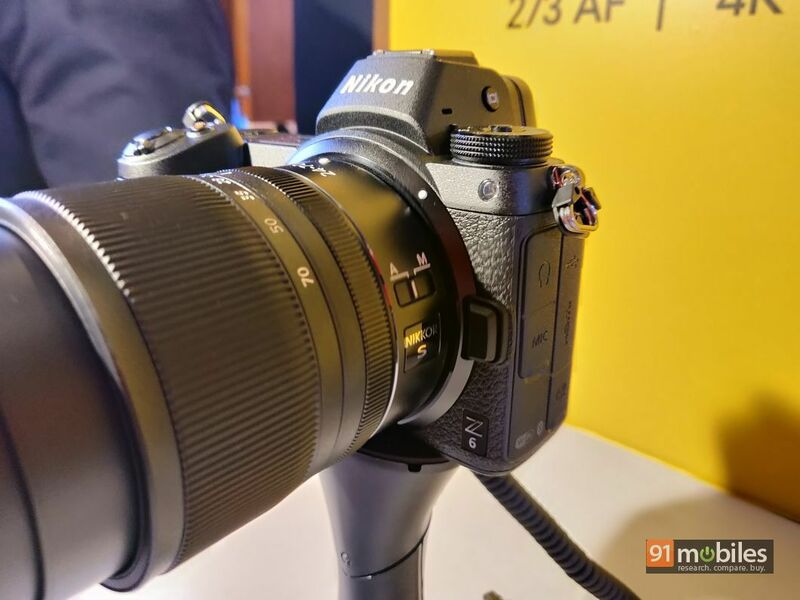 The good thing is that the Z6 and Z7 aren’t all that different from Nikon’s DSLR offerings as far as aesthetics are concerned. 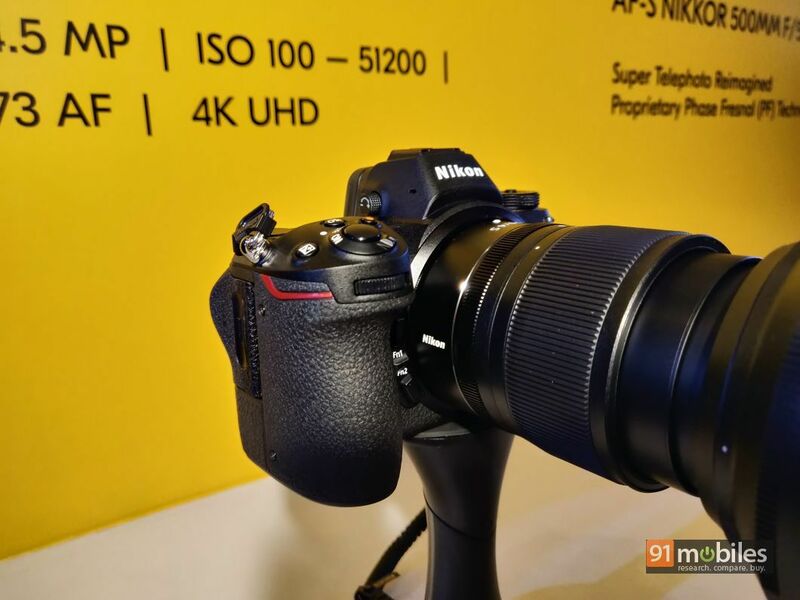 Therefore, if you’ve been a Nikon loyalist for some time now, you’ll feel right at home with the brand’s mirrorless cameras. On the flip side, if you’re head-over-heels for Sony’s compact mirrorless offerings, then you might find the shooters a bit cumbersome to use. I will, however, admit that the Nikon Z7 feels quite reassuring to use as it offers a really ergonomic grip. Moving on, the button layout remains the same on both the cameras too. To name a few, the right-hand side of the Nikon Z6 and Z7 comprises two metering dials, the shutter button, a toggle to turn the camera on/off as well as a D-pad. The left-hand side of the cameras feature another dial to switch between the different shooting modes along with a dedicated button to bring up the gallery. During my brief stint with the cameras, I found the buttons to be well-spaced along with offering a good tactile feedback too. Sadly, we weren’t allowed to click images with either of the two models on the show floor as they were pre-commercial units. That said, the demo shots we were shown at the event looked extremely promising. 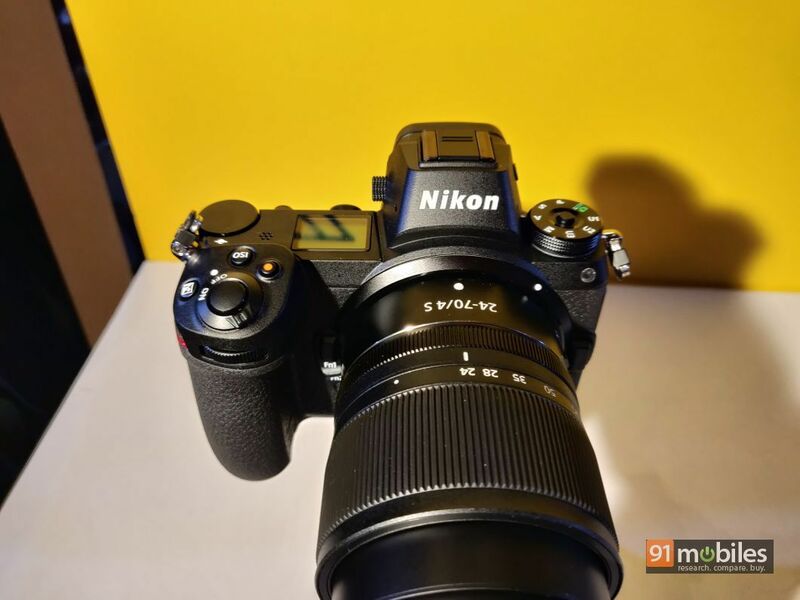 As for the pricing, the Nikon Z7 starts at Rs 2,69,950 whereas the Z6 will set buyers Rs 1,69,950 back. 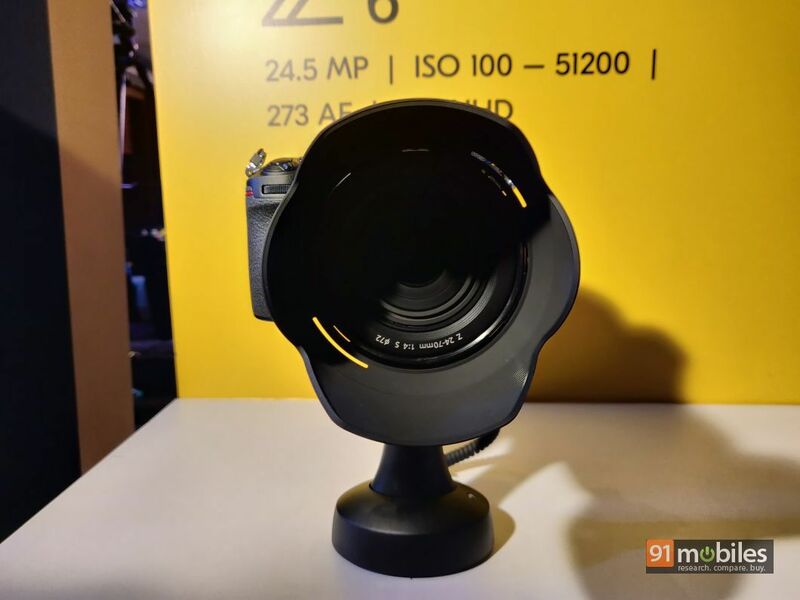 The company also announced three new lenses alongside the cameras, including the Nikkor Z 24-70mm f/4 S, the Nikkor Z 35mm f/1.8 S, and the Nikkor Z 50mm f/1.8 S, prices for which start at Rs 50,950. 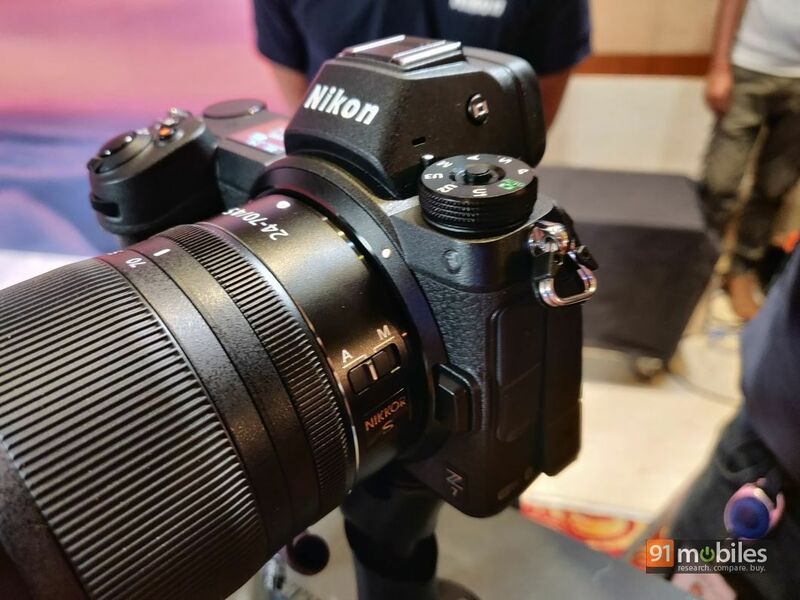 Lastly, the brand also announced the FTZ adapter mount which will allow users to slap on an older Nikon lens to the new mirrorless cameras. 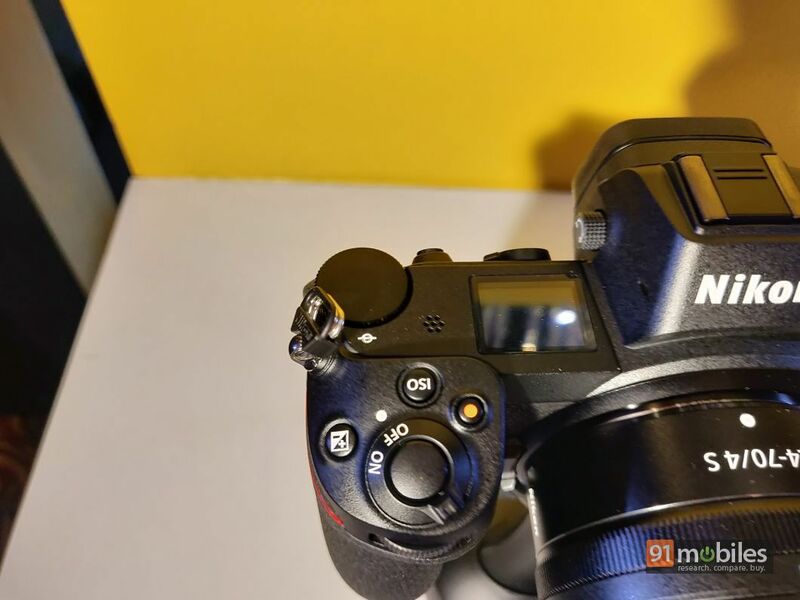 The mount retails for Rs 19,950 and as per the company, is compatible with almost 360 different lenses from the brand. We shall be testing the prowess of these cameras during our review, so stay tuned for that.